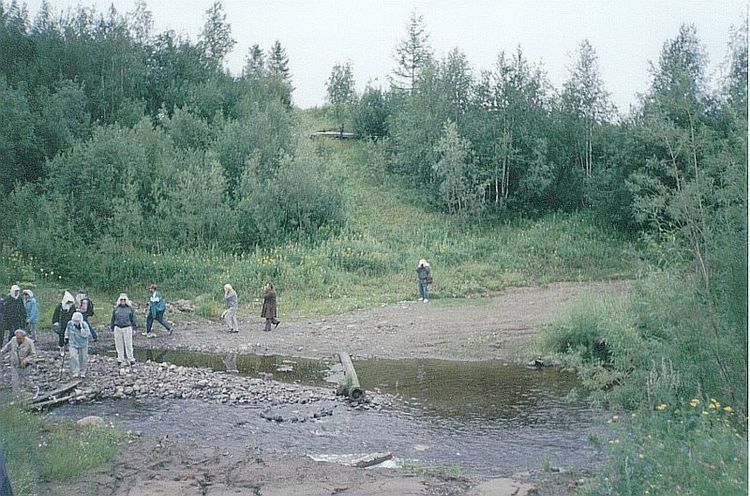 1400: We departed Dudinka, and headed upstream toward Krasnoyarsk, 1998 kilometers south. After lunch, the tour guide gave a briefing about the gulag that we would be visiting Monday. First, he said it was about 8 kilometers in and 8 kilometers out. We would have to walk through marshes, mosquitos, flies, and possibly small ground animals. It had been raining, so we had to expect slush, mud, and creeks to fjord. There were no paved roads into the gulag. 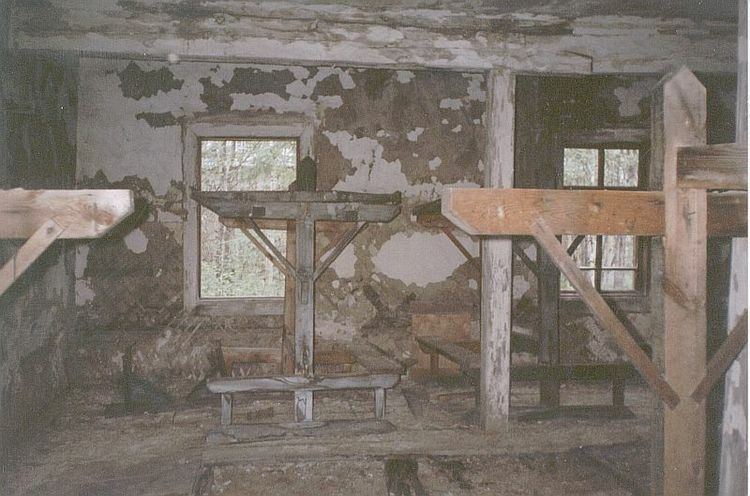 This gulag was for Stalin's political enemies. Its purpose was to build a railroad. This railroad was jokingly called the train to nowhere. We found out later that the life expectancy here was about 3 months after arrival. Between the long hours of work, starvation diet, long marches to and from the gulag to the work area, and the mosquitoes, even the guards had short lives. The gulag was closed after Stalin's death. Then the lecturer stated what the Russians believe about the end of World War II. When he mentioned that the Russians 'freed' Poland from the Germans, the Polish passengers got upset and started yelling. 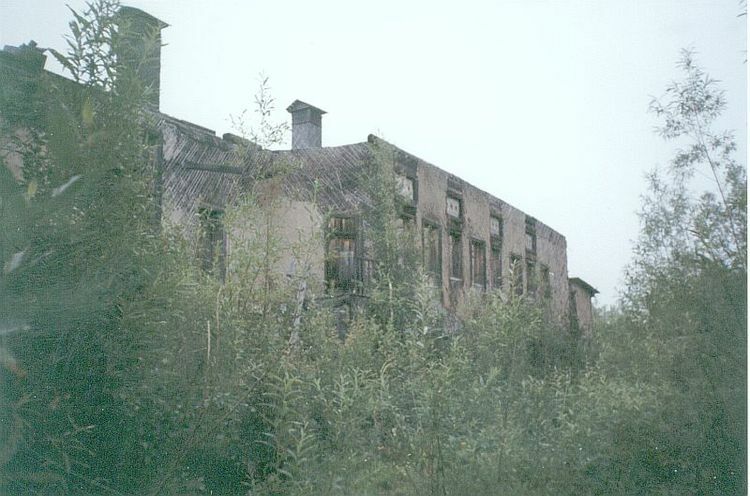 One of the buildings in this gulag was a theater that the prisoners built. 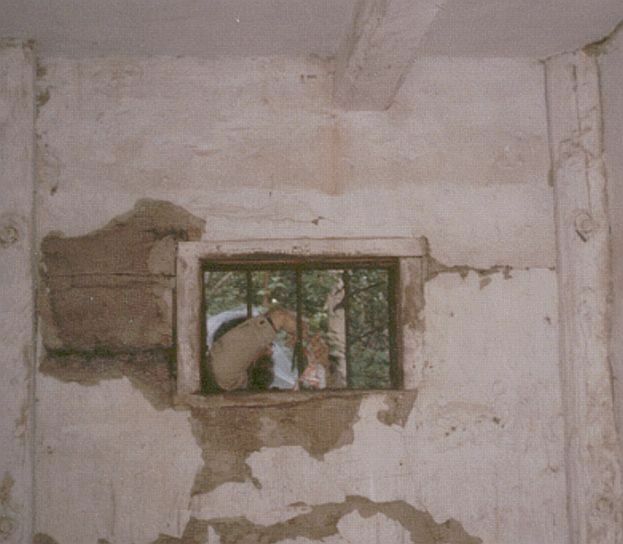 The prisoners could read their own poetry and this lecturer suggested that the prisoners had a good time. On hearing this, the Polish audience got really upset and yelled at him. For, it was general knowledge that many Poles were also sent to this and other gulags, where they perished. 2100: The crew presented a Russian folk singing and dancing jam session. 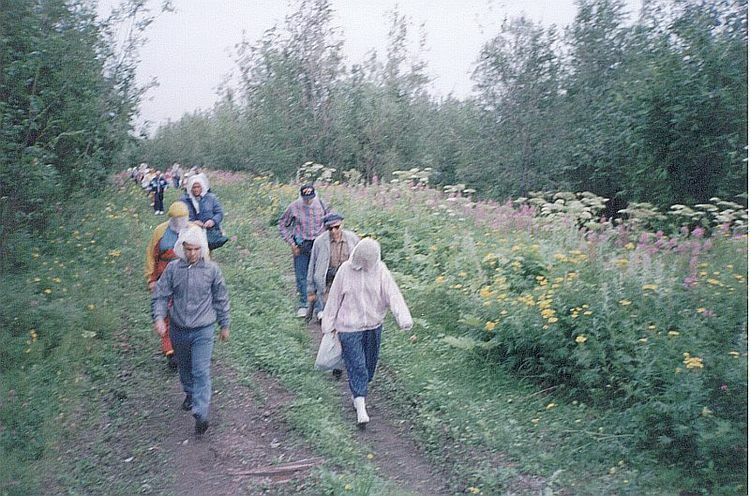 Monday, 3 August-0930-1450: Danuta and I, along with many others, began the journey into the thick forests to view the remains of the gulag. 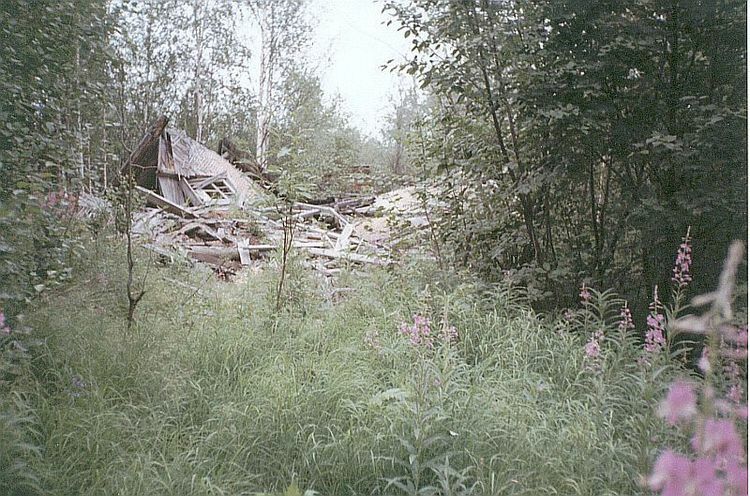 It was located about 8 kilometers inland west of the Yenisey River, on the north side of the Jermakowo River junction. 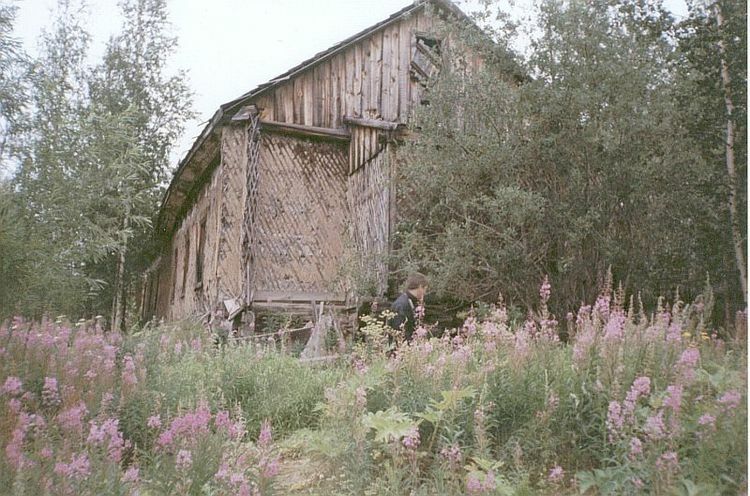 This location was just about on the Arctic Circle. 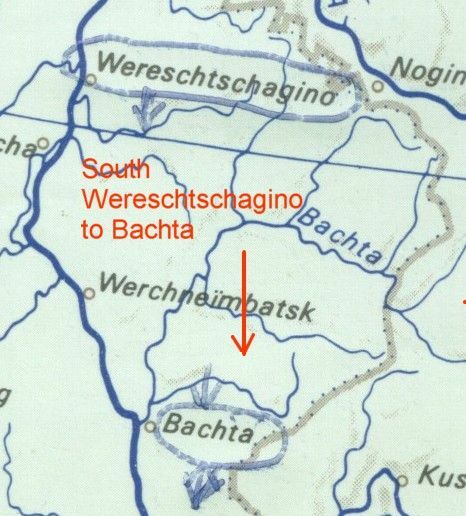 The first hundred yards were across the pebble beach of the Yenisey. Then we turned uphill on a slippery, muddy path leading to a high plateau. For the first two kilometers there was a plowed path, where tractors could travel. We passed several deserted wooden homes that overlooked the confluence of the rivers. After going down a ravine and back up the other side, we approached a small community of homes. One had signs of current occupancy. There was a sign suggesting that the person was the equivalent of a 'forest ranger'. 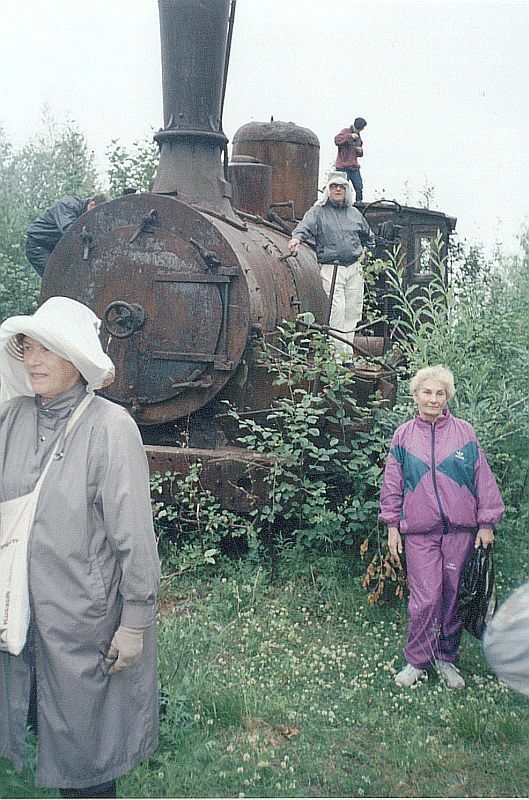 At the 3-kilometer point, we came across on old steam engine sitting upright on the ground. It was rusting away, and obviously had not been in operation for many years. At this point, the guide suggested that those who were neither daring nor capable of going on, should stay here until we returned. Danuta and I decided to continue. The first three kilometers were hard walking. The next five kilometers were even worse. The tractor width path, narrowed to just a single trail in places. At least ten major puddles and flooded streams had to be carefully bypassed by making a new trail through the undergrowth of the forest. Movement was slow. At the 5-kilometer point we came across the remains of a large series of Quonset hut type metal buildings. The guide told us that at this location the Soviets had conducted many underground nuclear tests. I mean, wow, what were we doing here? Everyone was going onto the depression which had the remains of a tower. There was a sign in Russian (probably warning us to keep away), where they had their photos taken. Me, too. I stood on the top of the pile, holding onto the sign post, while Danuta took my picture. After navigating the swampy like marshes and mud, we finally came across a large concrete building. This was the main headquarters and housing for the guards. We continued until we saw many smaller wooden (log cabin) structures lined up in an orderly fashion. 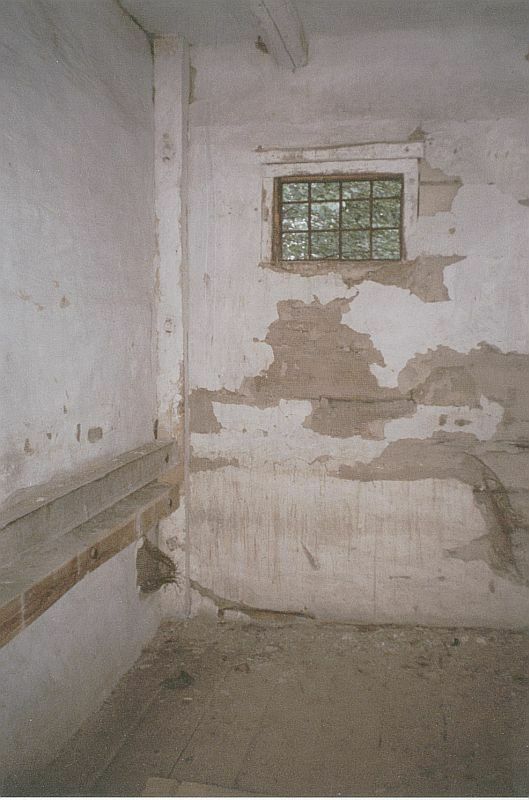 These were the homes for the prisoners. There were no signs of bars on the windows. But, then if anyone tried to escape, where would he go? 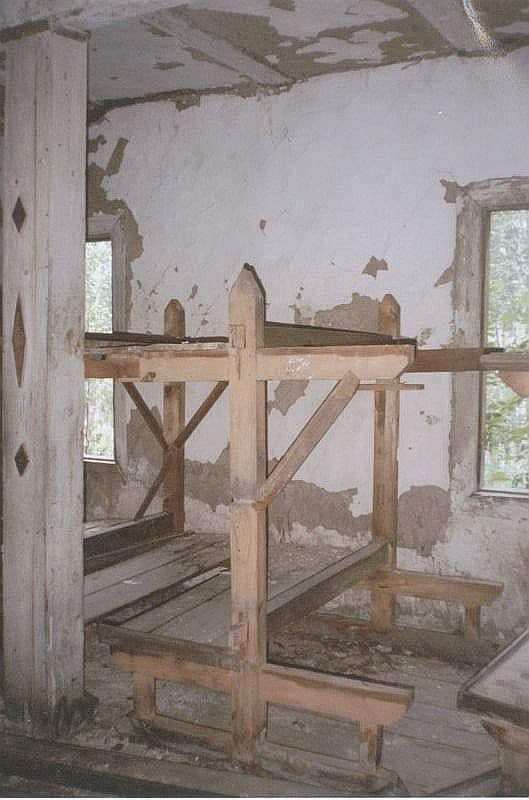 I went inside three of the barrack like dormitories, and took some pictures of the bunk beds. The whole area was completely covered with shrubbery and trees that obviously had grown over the years. 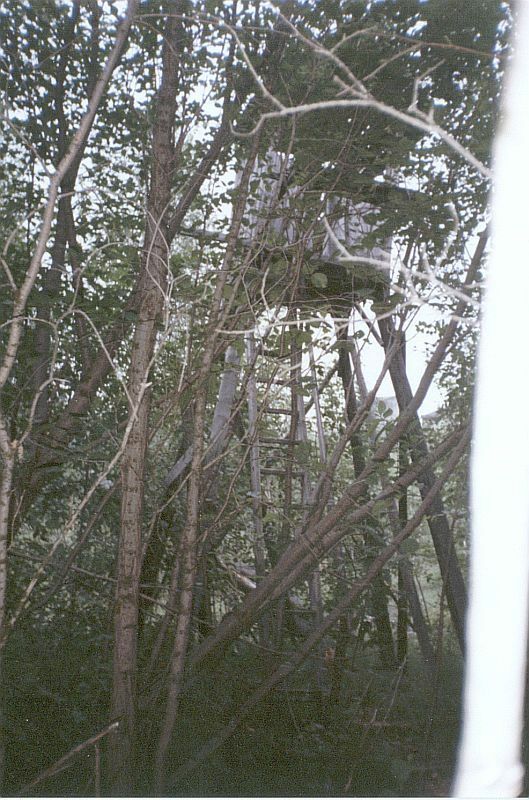 As we walked along the rear perimeter, we came upon a still standing watch tower. Walking again back to the start, we came upon the prison of the gulag. There were solid doors with small windows and holes to pass food. The small high windows looking outside were barred, but had no glass. There was a wood burner heater in the outer chamber, probably to keep the guards warm. As I was taking pictures from inside, several Polish visitors were outside lighting candles, placing yellow ribbons on the window bars, kneeling and praying. When I first arrived, I looked at the gulag with impersonal feelings. But, as I saw this small ceremony, a chill went up my spine . My eyes started to swell with tears, and I realized that here many innocent victims of Stalin's brand of communism were people just like us. It had taken us 2 hours to walk to the gulag. Danuta and I spend about 15 minutes walking around. At no time did we stop to rest. We started earlier than the others to walk back the way we came. Every so often, we were passed by some of the faster walkers. The return to the location of the atomic blasts was very slow, due to the many puddles and overflowing streams. We kept on walking, slower it seemed. Both of us were feeling pain in our legs. Danuta especially was feeling the pain in her feet. After we came to the steam engine we could walk a little bit better on flatter trails. The lower part of my legs really hurt whenever I went down hill. And, there were two very long downhill stretches that I really felt like stopping. We finally arrived at the beach and moved slowly to the ship. We had walked nonstop for 5 hours 20 minutes. The distance was about 16 kilometers. 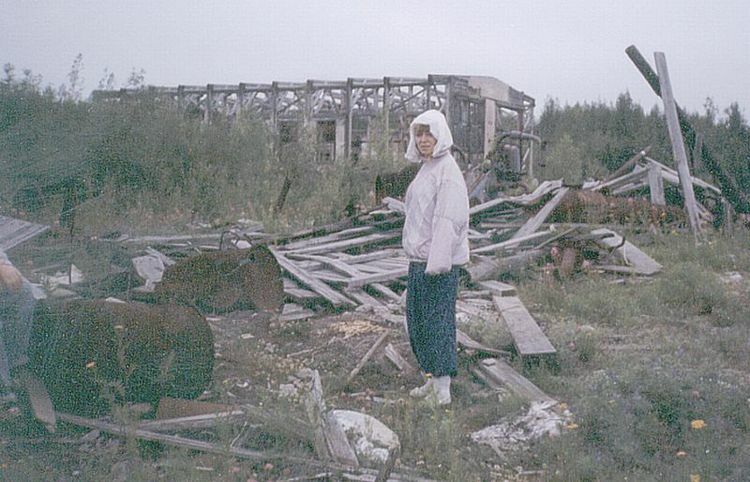 We were the first to leave the gulag area, but almost the last to return to the ship. 1530: The ship pulled away from shore to continue upstream travel. For the first time, the captain's scheduled departure was delayed. We were to leave at 1500. Danuta and I returned with just 10 minutes to spare. As it turned out, there were 3 persons still on the way back, including one of the tour guides. The captain certainly could not leave anyone here. 1700: We recrossed the Arctic Circle. This time there was no fanfare. The ship's captain did head the ship toward the opposite shore. There we could get a better view and photos of a large sign on shore that noted the location of the Circle. 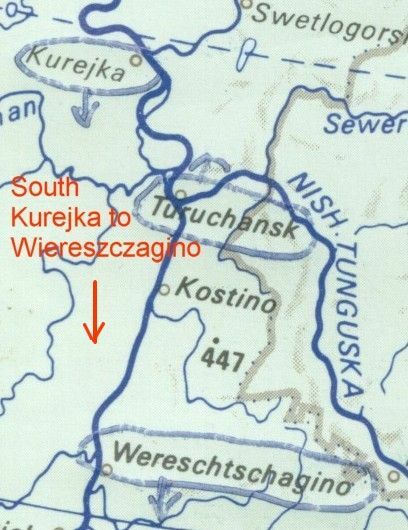 1900-2000: The anchor was dropped midstream at the village of Kurejka. 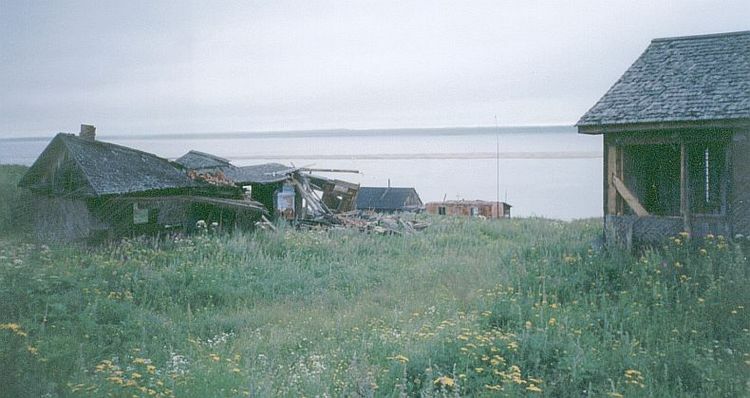 Those passengers who went ashore on the lifeboat shuttles saw a home in which Stalin had lived in his earlier years. Actually, he was banished to this spot by the Czar for his political activities. The home was completely enclosed in a concrete glass fronted building. Tuesday, 3 August-1110-1800: At Wiereszczagino the ship again had to anchor offshore. We were transported to landing docks by the lifeboats. This was one of the cleanest villages we saw. It was muddy from the recent rains. There were wooden sidewalks on each street which we used. Most of the ground area was covered with grasses or other shrubbery. There were many houses being constructed from log timbers. We had the chance to go into them and see how they looked. The logs were cut and stacked for the outer walls. Then the flooring was laid. Next, wall board or mud mixed with straw was used to fill the cracks or cover the inner walls. As we noted before, every home had a TV antennae on it. They all pointed toward the center of the village. At that location we saw a large satellite dish, postoffice and transmitter tower for the TV. Nearby were the instruments taking readings on the weather. While we were walking in the village, a Russian Army helicopter came in and landed near us. The wind from the rotors made the trees and shrubs bend. The stop at this village for seven hours seemed excessive. This was one of the "Green Stops." There were walking trails behind the village that extend for many miles into the forests. Some passengers go for a nature walk to see the variations of plants and perhaps be lucky enough to see some new exotic bird. Danuta bought a smoked fish for 200 Rubles. It looked thin, but she ate most of it all alone. Can't believe we drank so much (we did share it). We bought our 3rd bottle of cognac for 3100 Rubles. Wednesday, 4 August-0730-1200: The ship docked at Bachty. This was another "Green Stop." Danuta and I just walked around the small village. Thursday, 5 August-0620-1400: A "Green Stop" at Ledninskiej Kurii. Unlike most of the other green stops, there was nothing here. The ship however was able to move on its port side right up next to the beach. All that was needed as a gangplank was the one section normally used when at a dock. Both anchors were dropped about 50 yards from shore. Then when we left the winches pulled the chain aboard and the ship moved in the direction of the anchors. 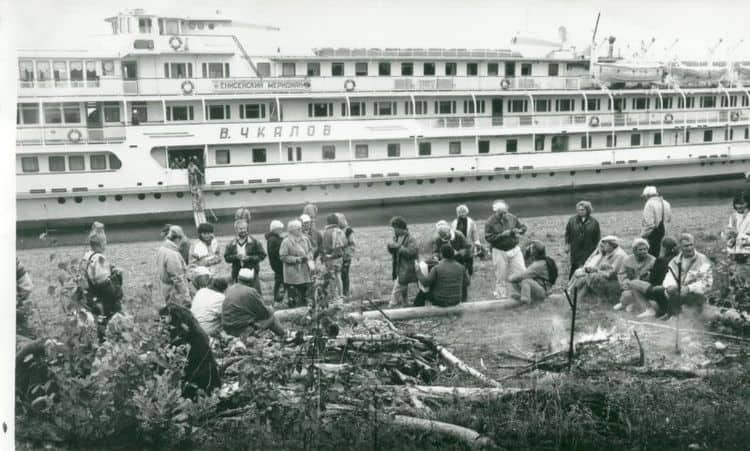 Just after 0800, some crew members began collecting firewood. We had a big bonfire. After the fire was going strong, the crew put a huge kettle of water held up by stakes, to boil. As it was heating, they pulled "weeds" which they called herbs from the surrounding area. They broke off the flower portions and dropped them into the pot. 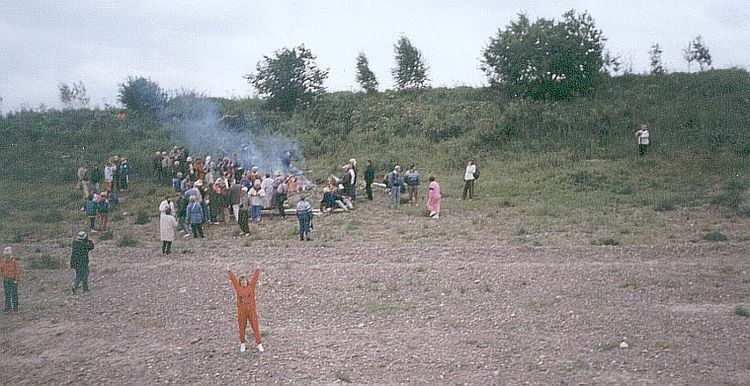 After a while, the pot was removed and all the bonfire guests were invited to help themselves to the herbal tea. I only took one sip. It wasn't really bad. 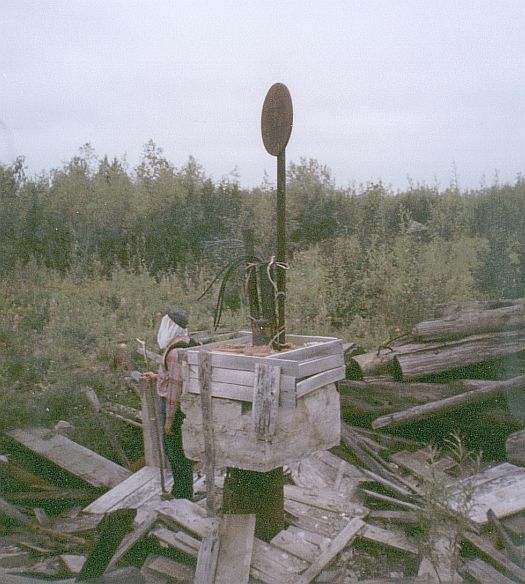 On top of the flat plateau above the bonfire, was a large well farmed and plowed area. Those who wished could walk through the distant trees. 2100: While underway, a "Mr. Cruise" contest was conducted on the upper open deck. There were five male contestants. They really made the audience laugh at their antics. It was conducted in both Russian and Polish languages. So, while I did not really understand what was being said, the antics were enough to make me laugh as well. The man I thought would win came in third. I bought Russian beer on the ship for 250 Rubles. Danuta had a chocolate bar costing 650 Rubles. It was so good, we bought another. 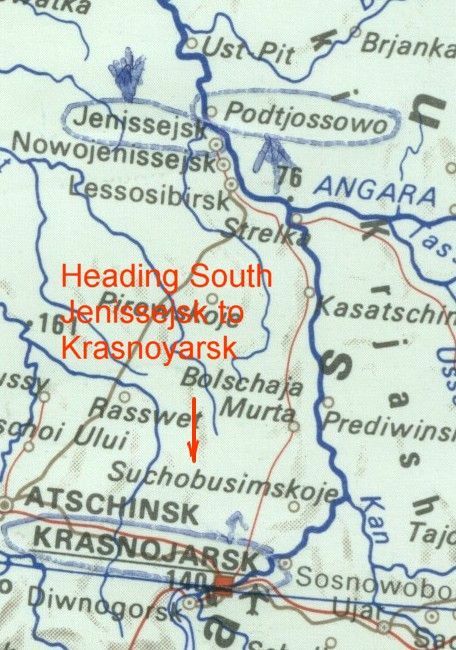 Friday, 6 August-0720-1430: We arrived and docked at the larger city of Jenisieska. (English for the same as the River, Yenisey.) Danuta and I walked for several kilometers in all 3 directions of this city. We were able to enter a 19th Century Russian Orthodox Church that was being renovated. This one, like most others we saw on the river, had been converted to warehouses, theaters, or just boarded up since the early 1920's. Now, with the demise of communism, the churches were returned for religious purposes again. 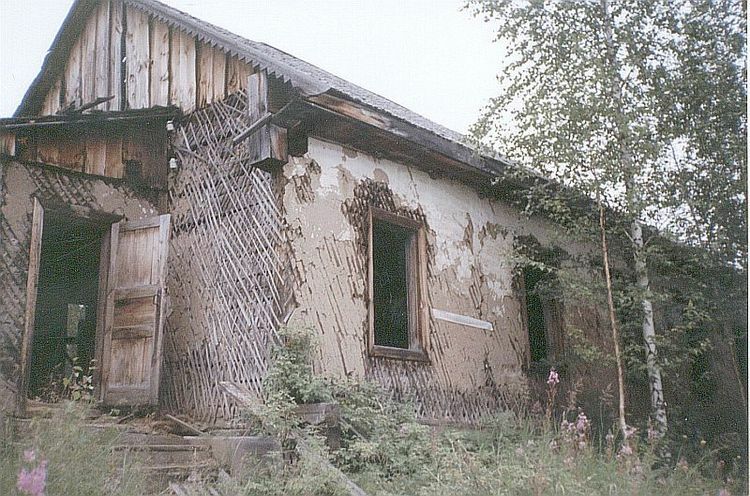 However, years of neglect and decay have required much renovation. After we left, a working monk came from his home and locked the gate behind us. As we left, other passengers from the ship were turned away without getting entry. This city had the usual mix of really old log cabin structures mixed with modern log cabins and concrete buildings. All of the other villages and towns had sloping shorelines of rock and sand, where the water level rises to the top in the Spring. Here, the city had constructed a concrete barrier wall with a road entry sloping down to the water at low level. During the spring high water flow, the wall would become the edge of the river. We went on a spending spree in this city. There were many shops. We bought an eyewash glass for 1 Ruble, two cans of lunch meat (to eat on return to Gdansk) for 3000 R. Danuta bought a wooden egg for 200 R, and several hair combs and brushes for 41 R. Other items included two beers for 1200 R, a whole salmon fish for 420 R, champagne for 2030 R, wall screws with drill for 368 R, and a stereo ear phone set for 211 R. At a book shop I found four map books on Russian history for 8 R, and two photos of historical interest for 800 R. After returning to the ship, Danuta looked at the egg and hair combs. She liked them so much she ran back to the store to buy even more. We really splurged here and spent a total of 9,899 Rubles. That was about $9.90. 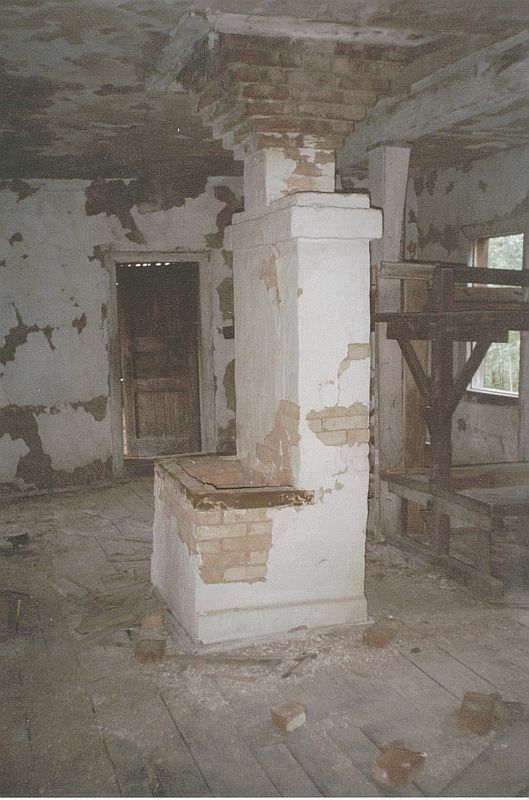 2000: After dinner, Danuta and I went to the deserted music room just ahead of our cabin. We wanted to watch the beautiful scenery again. We had bought the champagne to take later to the nightclub, to share a farewell drink with our friends. Instead, we drank the whole bottle in the two hours we sat watching the sights go by. We again saw much of the cliffs and islands around an area where the river makes an 180 degree curve. We reminisced about our trip. We discussed what we might have ahead of us on the return trip to Gdansk. In reality, it was just a wonderful time being together as we viewed the great outdoors. Saturday, 7 August-0100-0520: The ship stopped along a stretch of beach, anchored and stayed there until 0520. This was on the opposite end of the "gap" in the river, where we anchored overnight on the 26-27 July. As we noted then, the ship could only go through that "gap" during daylight hours. When we did get underway at 0530, there was low fog on the river. 0520-2310: We continued upstream (South) without stopping until we reached Krasnoyarsk. As the morning fog left us, the day became warm and beautiful. I was able to time the distance between mileage markers, again. I computed our land speed at 15 kilometers per hour. This considered the river flowing against us plus the speed of the ship. At an area called Mt. Barina on the eastern side of the river, we came across the super secret atomic plant. We could see the high double fences that ran up the side of the hill at the start of the compound. There were guard towers ever few hundred meters. The area between the double fences was well cleared of shrubbery. There was another shorter fence running up the middle of the cleared space, with a paved road next to it. As the fences paralleled the river, we could see the end of the electrified railroad tracks and tunnels. Every so often, where the mountain came close to the river, there was what appeared to be a tunnel entrance to the mountain. Each of these entrances was of concrete construction. I noted the mile markers at the start about 83 Kilometers and the end about 78 Kilometers (from the docks at Krasnoyarsk). At the northern end (start) was a huge living community, well lit, looking much like a prison compound. Beyond that were two huge smokestacks. As we continued south, there were frequent signs of active military and other heavy equipment construction sites. The Krasnoyarsk dam provided all of the power for this area. We visited the dam later. 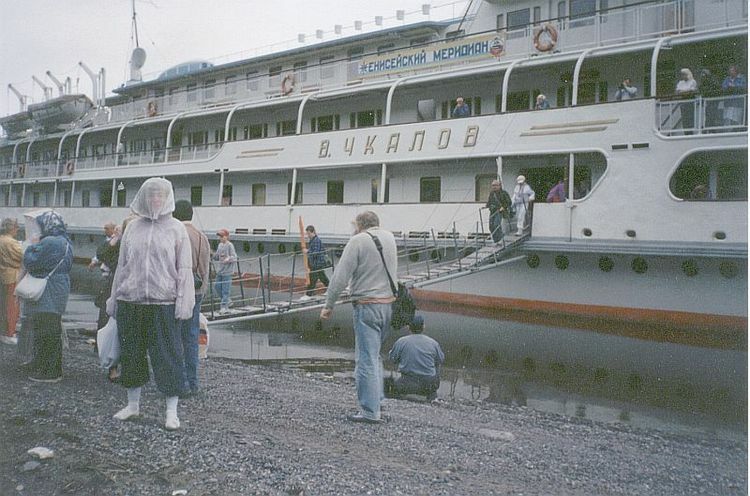 2310: We arrived at the dock at Krasnojarska (Krasnoyarsk). 2300-Sunday, 8 August-0200: We decided to go dancing in the nightclub. We sat with a different group of people this time. I danced up a storm, as usual. Again, it seems as though I did all the buying. I paid for two bottles of really good white wine, 4600 Rubles.